Keith Greene took part in a handful of Formula One races for Gilby Engineering, a firm set up by his father, Syd, to assist his son to race. While Keith had little success, the car had some potential, as shown in 1961 when Bruce McLaren, offered a test drive at Goodwood, managed to lap six seconds quicker than Keith had. 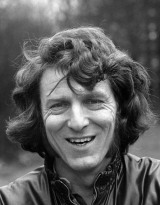 Greene went on to enjoy greater success as a team manager in F1 and sports cars.